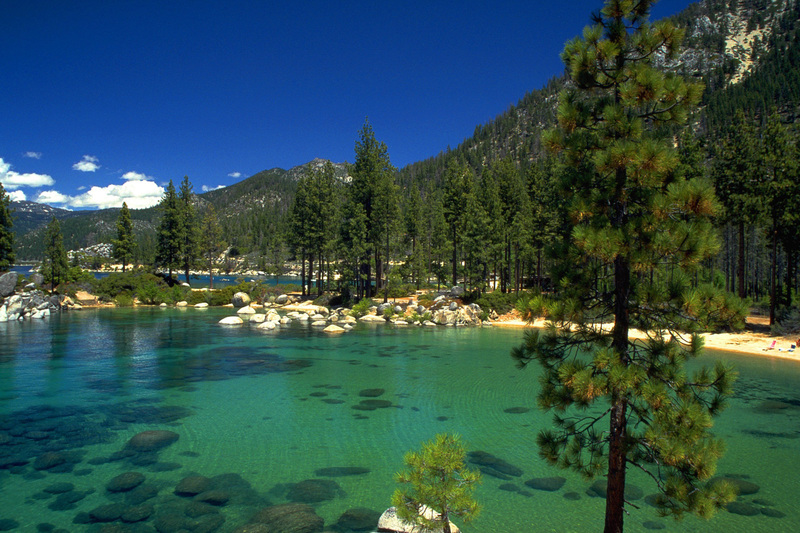 Beautiful Lake Tahoe lies in the Sierra Nevada mountain range along the border of California and Nevada in the United States. 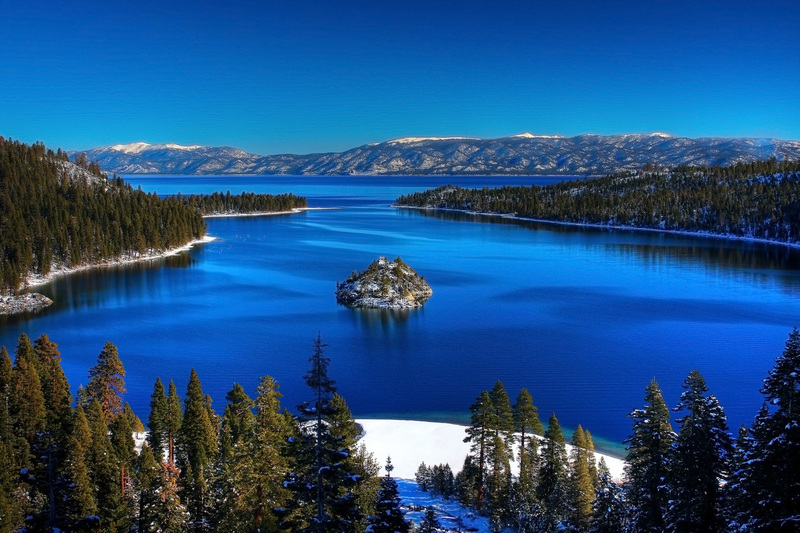 With 496 square kilometers (192 sq miles) of surface area and lovely mountain scenery, the lake is a major tourist destination year round. 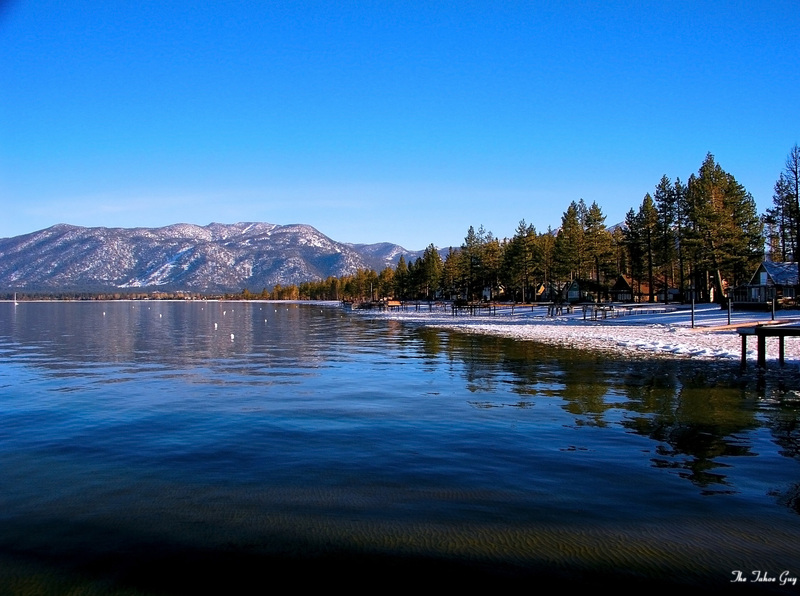 There are over 12 ski resorts at Lake Tahoe and visitors can find all manner of winter activities here including snowboarding, skiing, snowshoeing, snowmobiling, snow tubing, and more. Many water sports are also enjoyed here, such as swimming, boating, water skiing, and scuba diving. 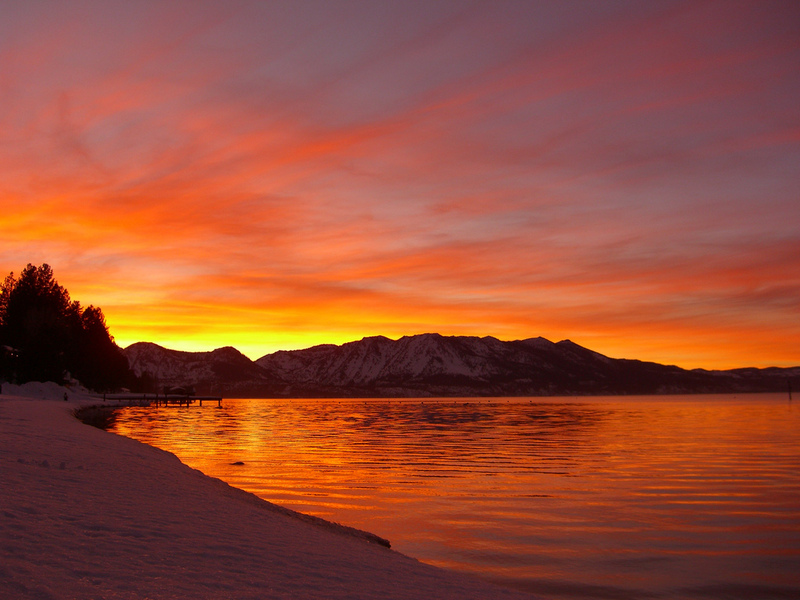 A large variety of accommodation can be found on the lake, from ritzy expensive resorts to backpacker style hostels. 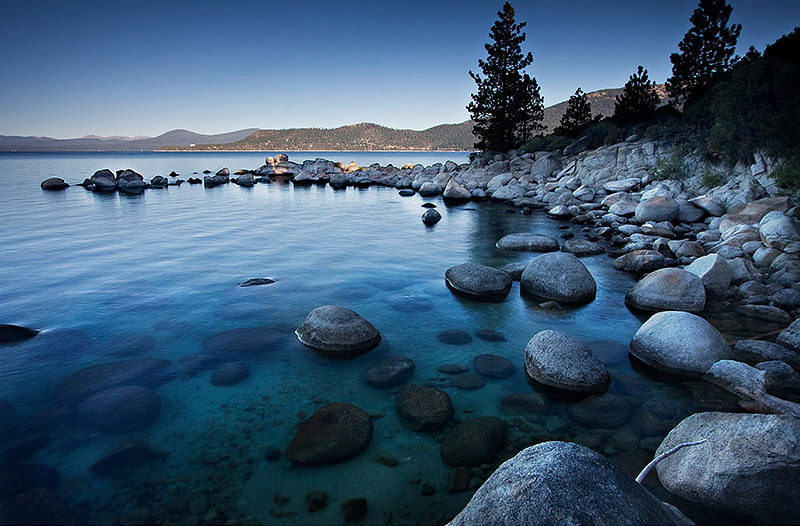 I love Tahoe and these images are stunning!